The first time I sat on a horse I was between the age of 2 and 3 years old. She was a big chestnut mare and I can vividly remember the warmth of her body down along the inside of my short legs, my little hands holding the top of her mane, with my uncles steady hand at my back. I was so relaxed and it seemed natural to me to be there. 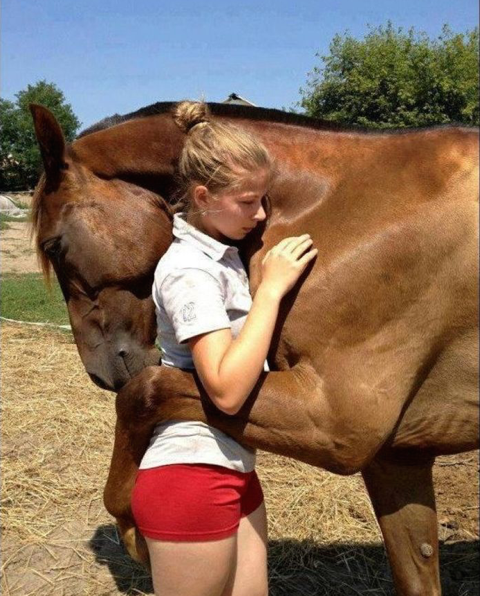 I did not know then that horses would be play big part in my whole life. From owning and riding, showing, jumping and cross country eventing, to not owning and living in a city, feeling the loss of not been around them, to then been introduced to whole new approach, while living in USA called Equine Assisted Learning, where horses are healers, teachers and guides in developing inner awareness, unlocking hidden strengths and healing of unresolved issues. My father bought me my first pony when I was 11 years old. She was a Connemara pony with dun (cream colored) coat and black mane and tail. Her registered Connemara name was Little Wonder and her pet name Polly. She was 3 years old when we got her. So, by my father’s side, I learnt how to bit, bridal, saddle, ride , clip, and care for a horse in all the ways daily and seasonal. Polly became my best friend. I could hardly wait to come home from school to be with her. She loved to see me each evening and would give a friendly whinny when she saw me coming to the stable or field. She was so beautiful. I would just want to be with her to admire her and soak in her beautiful being and spirit. What gave me the most pleasure was after a long ride, stable mucked out and hay in, I would sit on the stable floor and listen to her eating hay. The combination of her rhythmical sounds of chewing and smell of horse brought me into a peace and relaxation that I did not find in my home or school life. I felt shy and inhibited in friendships and seemed to be ridiculed when I spoke or tried to join in or play any games. I did not know how to be cool, look or play cool. I felt confident in my relationship with Polly and in my ability to care for her. She gave me hours and hours of pleasure just by been with her. Graduating from school took me to Dublin to study and work, to leave the horse world behind me. Travel soon became part of my life and work. I met and married my love and moved to Colorado USA. The land of wild horses with the majestic beauty of the Rockies running down along the State, as a backdrop, was our home. While there, I was introduced to a whole new concept of horsemanship by physiologists Diane Kennedy and Craig Falkman. They worked horses as partners in their psychotherapy practice. Instead of going to a human only, they introduced horses into sessions! I was astounded on what I learnt about my character, strengths and vulnerabilities, my limited beliefs about myself and how the horses with such integrity and non judgment, reflected to me what I needed to be with, in my habitual thinking and soul matters. I was hooked. I voraciously read books on the subject commencing with The Tao Of Equus, by Linda Kohanov. When I sold my business in 2010, I commenced my studies on this ground-breaking work. What is Equine Assisted Learning (EAL)? Equine Asssited Learning , involves sessions with an EAL facilitator with horses and humans . Riding experience is not nexessary and all activities will be on the ground . EAL engages with a variety of activities which address areas such as self-awareness, problem-solving, leadership skills, stress and trauma, and boundary setting. Equines are large and powerful magnificent animals who provide interesting paradoxes as to how their strength can be subtly influenced by one or more people. They as prey creatures who operate at an emotional and intuitive level that constantly relies on non-verbal body language for survival . There is no separation about what an equine thinks and what the body says and they will pay great attention to detail to the things that go unnoticed by people. Working with equines in this way equires people to speak ‘honestly and confidently’ , with equines continuously giving out back information about how they feel. The need to understand one’s own behaviour, as well as the behaviour of others becomes very clear sessions . Clients are faced with the honesty of equines who continuously respond to the behaviours and emotions of people in a fully present and non judgmental way. Through the reactions and continuous behavioural changes that equines make, humans are provided with opportunities to develop more awareness of areas such as exploration of emotions, connection with natural world, mindful relationships, and authentic empowerment. Mary Berkery has 30 years experience as a Horsewoman. Her work as Wellness Educator, Author and Personal Development Group Facilitator and Life Coach, with her extensive horsemanship experience teaching horse riding, training, hunting, cross- country evening, combined with her Equine Assisted Learning skills, offers a unique personal service. Mary has studied Equine Assisted Learning in Germany and the USA. She has worked with Parelli and EAGALA methods of horsemanship in USA, as well as studying Natural Horsemanship programmes at Epona Arizona and Horse Medicine Program Colorado and Epona Now Germany. Mary Berkery now lives the West of Ireland and run retreats, day workshops and one to one private sessions with this work modality. No riding skills are required as all exercises are done on the ground.